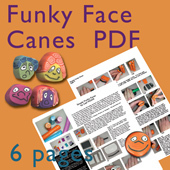 This 6 page PDF has over 100 photos and teaches you several different simple expressions that you can mix and match to make a whole collection of funky faces. Each cane is fairly small (between 3 and 4 ounces) so you can play around and experiment. Layl has been making and teaching face canes since 1997 and you can tap into her expertise with this easy to follow lesson.  The PDF will be e-mailed to you within 48 hours. These PDF's are not to be distributed or reproduced. Thank you!